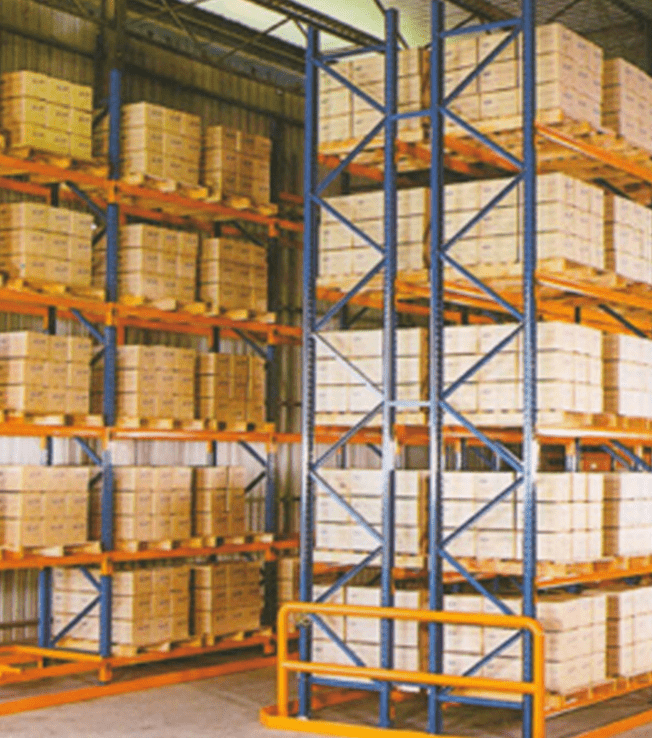 Pallet Racking provides your warehousing teams with unrestricted access to all your pallets at all times. The system delivers versatility and assembly as single- or double-depth racks. Pallet Racking easily adapts to your specific warehouse and storage requirements, thanks to a variety of widths, depths and heights. In fact, Racking will fit into any space available, and is suited to all kinds of pallets – whether they be Euro, disposable or captive pallets, mesh boxes or bins. The modular, future-proof system adapts perfectly to your particular needs – thanks to different beams, Pallet Skid Channels, Column Guard and Upright Row Guards.